Premium tea maker Stash Tea is celebrating one year as a B Corp Certified company by redesigning its packaging. 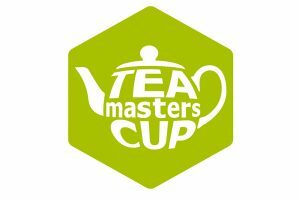 Founded in 1972 and now part of Yamamotoyama, the world’s oldest family owned and operated tea company, Stash Tea’s mission has been to take consumers on a flavourful journey through unique tea blends. Leaning on the company’s long-standing commitment to flavour, quality and creativity, the brand’s new look centres around bright colours and bold ingredient imagery representative of key tasting notes. 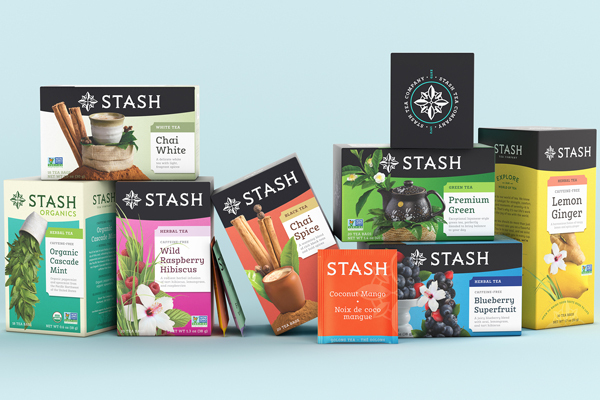 Nami Yamamoto, CEO of Stash Tea, notes that the aim of the rebrand was to rethink not just how the packaging looks on store shelves, but how to better communicate Stash’s long-standing core values to the consumer. “Giving the ingredients center stage emphasizes our commitment to using only natural, healthy ingredients to create delicious and unique flavours,” says Yamamoto. “As we evolve as a brand, our hope is that we continue to excite consumers to explore the incredible world of tea that inspires us every day. One challenge of the brand refresh was bringing Stash’s 46-year heritage into today’s modern market. The existing compass rose logo was streamlined and adorned with tea leaves to establish a sharp new visual identity while maintaining the brand’s adventurous and worldly spirit. 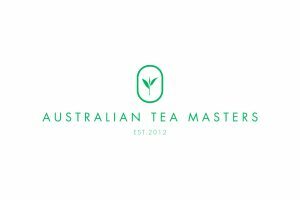 The compass is meant to inspire consumers to look to their daily cup of tea to help them find their “true North” and a sense of balance in today’s busy world. The new packaging is continuing to roll out to tea aisles across the country. 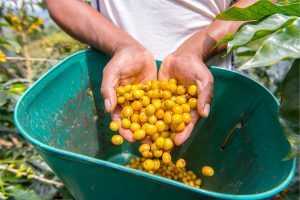 The past year also marks two new certifications acquired by the company – Project Non-GMO Verification for all tea bag blends and B Corp Certification – both of which reflect the brand’s commitment to integrity and transparency. As a B Corp Certified company, Stash cements its dedication to positive change and thoughtful business actions by continuing to pursue green packaging, ethical sourcing, employee well-being, and community involvement to amplify impact both globally and at a local level. B Corp Certification requires a holistic review of a business’s social and environmental performance, and as a B Corporation, Stash must meet higher standards of accountability and transparency than traditional private companies. With a commitment to eco-responsible materials and manufacturing, renewable energy, and strict product verification and quality control processes, Stash is part of a global community of companies leading with purpose and redefining success in business. Stash Tea is available at grocery stores throughout the United States and Canada, and online at stashtea.com.